The whether has been incredible these past few weeks, here in Latvia. So we decided to take advantage of these glorious days to do some travelling and spend some time away. We rented a tiny little bnb in Tallinn, Estonia, and spent the weekend walking back and forth on the cobblestones of the Estonian capital. The little flat that we rented was located on the outskirts of the old town, so everytime that we went out and came back "home", we could enjoy the view of the colorful roofs and towers behind the old town's ramparts. This was my third time to Tallinn, and even though I feel like I know the old town quite well, I feel that there is always something new to explore: some "secret" doors that are sometimes open or closed, backyard gardens where rhubarb grows among other greens, and tiny streets and alleys that I've seen for the first time. My favourite thing to do while visiting is to spend time eating (yes! 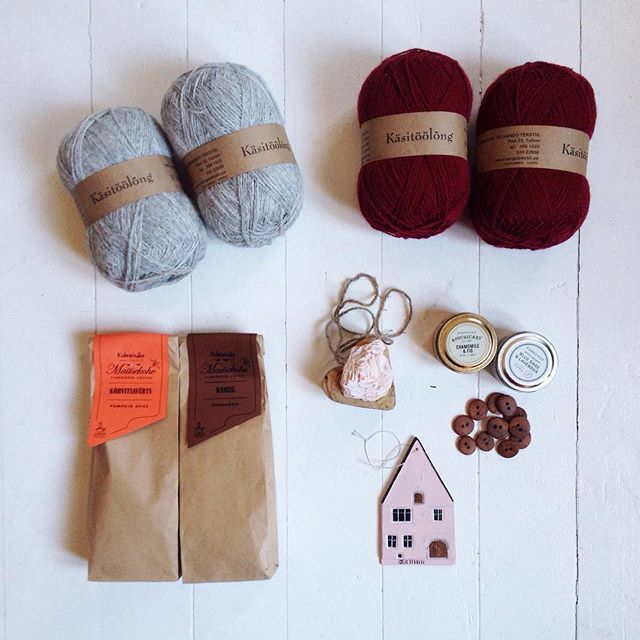 ), drinking coffee, buying yarn, and imagining myself living in this very picturesque town. There's a couple of good adresses that I thought I could share if any of you that reads this, might want to visit one day! Since we have a very special diet, we tried to find places that could serve vegan/gluten and banana free food! We thought that it would be a real pain the neck, but we were happily surprise to discover that Tallinn offers a large range of choice for eaters with special needs! We went back to the first vegan restaurant that we ate at, and it was absolutely delicious (Vegan Restaurant V, 12 rataskaevu). It can be quite difficult to find a spot there, so be persitent with the waitress and tell her that you are willing to wait! We also enjoyed some fantastic traditonnal Indian food at Chakra (Bremeni Kaik 1). Everything was absolutely divine. We didn't get to eat in Olde Hansa this time around, but I would definitely recommend the place. That's a complete medieval immersion! Though, try to avoid the "rush hour" is you can! 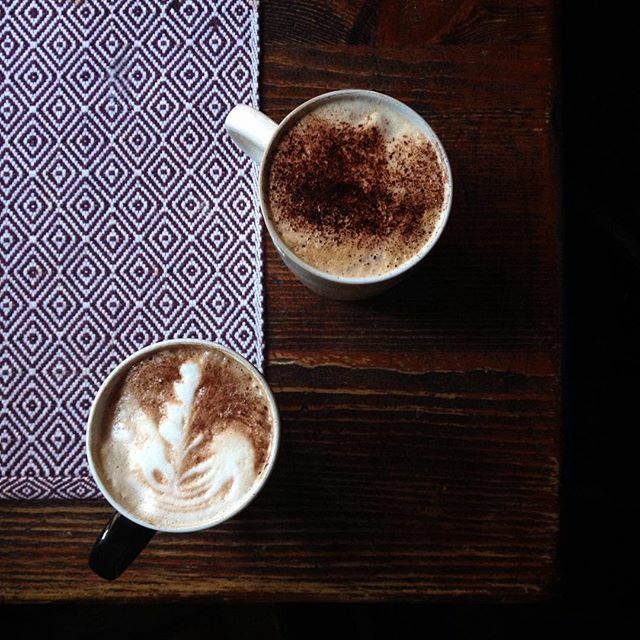 Our days wouln't be complete without coffee, so here's a couple of places that we really enjoyed: Kohvik Inspiratsioon. It' a vegan coffee shop. Go and get raw vegan cheesecake and their signature coffee with orange and chocolate. But maybe not after Indian! Kehrwieder Roastery is another lovely coffee place in the old town. They roast their coffee in the roastery just in front. I could have spent hours there knitting on the old wooden tables! And of course I needed to indulge in some handmade and crafty souvenirs! We went back to 22 pikk, where I bought more yarn and the Estonian mittens on my last trip. Then got the handmade apple tree buttons and soap at Hindricus. I also got the little pink porcelain house that is now part of my "home" collection. The whole city is a museum, so I wouldn't suggest one place or another to visit. Just keep in mind that most of the houses are closed on Sunday, so if you stay for the weekend, make sure to check out these. Try to visit the Ukrainian-Greek catholic church if you can, the painter's guild and walk on the ramparts! Next time, I wish to make time to visit the open air ethnographic museum since they are my favourite type of museums!